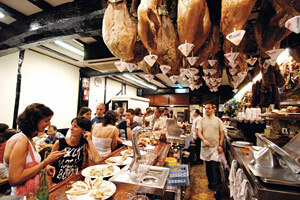 San Sebastiàn in northern Spain has been rated the top holiday destination for food lovers by a panel of Which? experts, receiving an expert score of 81%. The panel rated a shortlist of 10 destinations outside the UK against over 30 different criteria. San Sebastiàn scored particularly highly for the exceptional eating experiences offered at all budgets, for the depth of its food culture, and for the creativity of the city’s chefs. Tokyo came in a close second with 78%, and in third place was Sydney with a respectable 77% beating favourites New York and Paris who were tied in fourth position. The expert panel was made up of food and travel writer Nina Caplan, restaurant critic Andy Hayler, and food blogger and cookbook author Niamh Shields. They debated the quality of high-end, mid-range and budget eateries. They looked at street food, markets, delis, local food producers, tours and food festivals and they discussed local food culture, specialities and produce. They also considered the holiday appeal of the destination itself. All of the top three destinations offer visitors exceptional food experiences, from innovative fine-dining to the most exciting, buzzing street food scenes. And all three destinations are blessed with an abundance of fresh produce, including exquisite seafood. For such a small city, San Sebastiàn really punches above its weight. With more Michelin stars per head of the population than anywhere else in the world, its innovative chefs wield enormous influence over culinary trends all over the world. Tokyo was also praised for the depth of its culinary heritage and its excellent produce. And Sydney was singled out for the broad Mediterranean and Asian influences in its cuisine, and for the beauty of the city as a holiday destination.